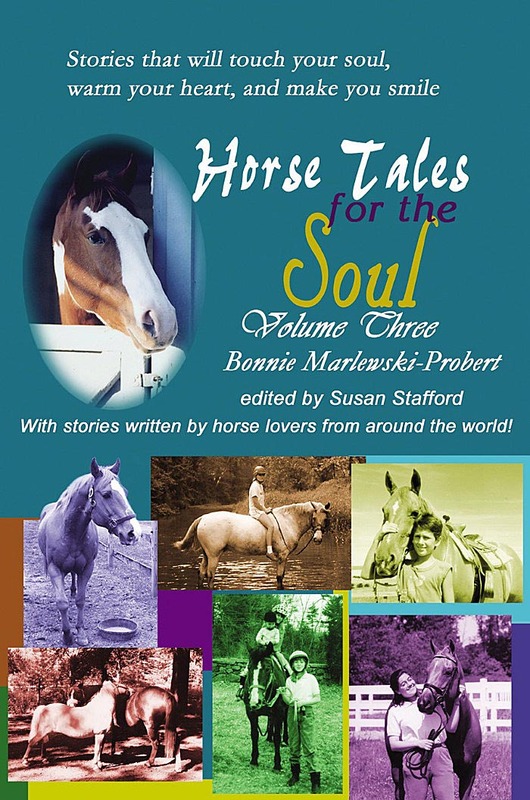 Horse Tales for the Soul, Volume 3 is third in the series of heartwarming books that will stir your emotions. All the stories within are true. The authors come from all walks of life, all breeds of horse and all styles of riding to share the equine-related events in their lives that touched their heart, taught them a life lesson or just proved that horses are smarter than most people! One or all of these books make the perfect gifts for all the horse lovers in your life. Each story focuses on a life lesson that was learned through the experience and it is that life lesson that will touch the hearts of readers from all walks of life whether they be horse lovers or not. All seven books in the series make wonderful gifts for the horse lovers in your life, whether they own a horse now or never have. The Horse Tales for the Soul series of books focus on those same life lessons, those same character building elements that are so prevalent in the world of horses and are responsible for changing so many lives for the better.